The Gardener said, "is there any Vera Bradley stuff left in the world?" We said, "yes - we are going to buy more when we get to Florida!" The drive down was beautiful - the fall colors were making their last big showing for the season. The evening sun highlighted the colors in a grand display along the highway. We stopped at one of those scenic pullovers along the route and took some photos. We knew this beautiful display would most likely be gone by the time we returned home. It was windy and cold on top of this hill! They have yarn everywhere in this house! Marsha is shopping from the refrigerator! They also have yarn in all the kitchen cupboards and the bathtub and the back porch! Back in September, I held a contest (a thank you to my readers and followers) and gave away a week's stay at our condo in Florida. These wonderful folks were the winners of the contest. This is a photo of me with Debbie, Miss Hannah, and sweet Granny. Deb and her family were on their way home from the condo - as Marsha and I were headed down. So when we passed on the highway - we pulled over and I got to meet these delightful ladies. For me to actually have the chance to meet these wonderful ladies was such a thrill. They are all the most precious people - the kind of people that you instantly love. Debbie, Miss Hannah, and Granny - you have touched my life in such a special way - I treasure our chance meeting and our new found friendships! 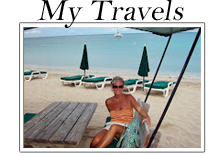 As we traveled on down the road - Marsha and I took advantage of yet another opportunity for me to visit and meet one of my favorite blogging friends. We stopped in Savannah and met beautiful Silke and her husband Daniel for a late lunch. 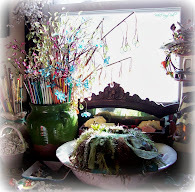 Silke's blog, Metamorphosis is a showcase for her many talents. Silke is an artist - her paintings are both expressive and beautiful. We had a wonderful visit with both Silke and Daniel. Silke has long been one of my favorite bloggers - getting to meet her and Daniel was a delight! On the way out of Savannah - we drove by the home that was the central figure in the well known novel, Midnight in the Garden of Good and Evil. We arrived at the condo about 11pm later that evening. It had been a LONG day - but now that we were here - we both took the traditional "girl trip oath"! The next morning - Marsha found herself a front row seat for the early morning sunrise! 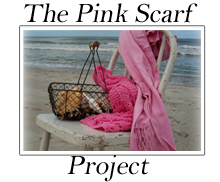 Debbie talks about this beautiful quilt on her blog in a posting titled - Betty at the Beach. 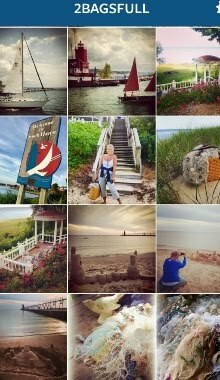 She has some amazing photos of this quilt that were taken with the ocean as a backdrop - you will want to visit her special posting and read about the amazing journey for this beautiful quilt. The best part of the trip - for me- is the key lime pie that they make at the Publix across the street. 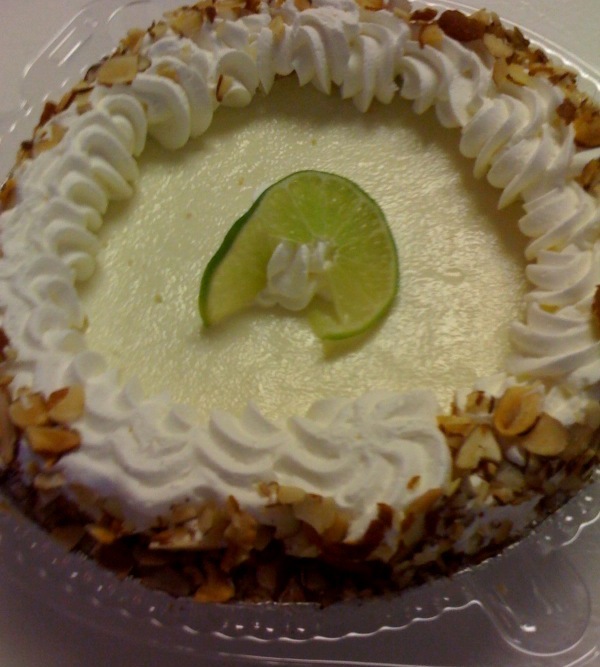 If you love key lime pie - this is the BEST! When you are on a girl trip - you can have key lime pie for breakfast if you want to! She made me this fabulous pair of earrings - (I love turtles!) Are these too cute or what! Guess whose crafting "mess" this belongs to? I'm always "nesting" you know! The great thing about our girl trip - is that we just left our stuff out all week long - didnt have to clean up our mess each day! A beach walk - definately one of my favorite things to do! I am always fascinated by the trail of foam bubbles that the waves leave along the beach. These foam bubbles were part of the inspiration for my shorebird nest series. My friend Mary, broke a beloved depression glass dish. Rather than throw it away, I brought all the broken pieces to the beach and threw them into the ocean. In time, as the pieces toss and turn against the waves - they will become seaglass - and some lucky person will walk along the beach and rejoice that they found a beautiful piece of red seaglass! I found mybe 15 or 20 pieces of sea glass this week on my beach walks. Mostly browns, and greens, and white. I used to think that this was a wonderful place to find seaglass - until I visited this beach in Bermuda! October is seabean season! The National Seabean Symposium was being held in Cocoa Beach while we were there this week. I am always amazed to realize that this little sea bean journeyed so far - down the Amazon River in Africa and across the mighty ocean - to here on my little beach. Do you know about seabeans? A BRAND NEW HOBBY LOBBY - does it get any better than this! 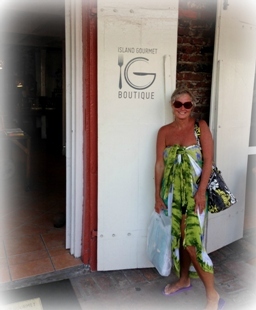 When you are on a girl trip - you can stay as long as you want and shop! We went out to dinner at one of my favorite restaurants and Marsha made a new friend! We seem to attract kitties every where we go! Doesn't this kitty have pretty white feet! We were eating at a seafood restaurant - I bet she gets to have the leftovers! The Gardener has agreed to share his cherished family recipe for what we now call "pumpkin souffle" with all of my blogging friends. This started out as a recipe for ‘Sweet Potato Pie’, probably my mother’s but I really don’t remember. I always hated to throw away all those Halloween Pumpkins so I tried this and we all loved it… Sort of a veggie/sort of a dessert. Not for the faint of heart if you are on a low-fat, low-carb diet - but every now and then, why not! I prepare the pumpkin in various ways depending on availability AND sometimes I use butternut squash or Kershaw, or any other orange, winter-type squash. If it is fresh then cut it into convenient sizes (halves for the butternut) and microwave covered until the skin can be easily pierced and the flesh scooped out easily. Today I used frozen chunks of a very large butternut that I had cut and peeled earlier. I had frozen it without cooking. Microwaved those chunks until it was easy to smash and then cooled until it was easy to handle. Prepare pumpkin (as described above) and mix the warm pumpkin with a stick of cut-up margarine until margarine melts. Combine all the dry ingredients and mix together well. Beat eggs lightly then combine all liquid with the eggs and whisk until well mixed. Add dry ingredients to mixed liquids while whisking until this combination is well mixed. Then add the prepared pumpkin and whisk until all the ingredients are well mixed. Pour into oven-safe baking dish(es) filling approximately ¾ full. Sprinkle top with additional sugar and cinnamon to taste. Bake for 50 minutes - and using a straw to check in the center - the straw should come out clean. STUFF YOU MIGHT WANT TO KNOW………………………..
No I didn’t forget the spices that you might expect to go with pumpkin. Although they might make a nice variation - only vanilla and the cinnamon for the topping is used for this recipe. The amount of pumpkin is not critical. More makes a denser texture, less a little more custard-like texture. I personally like a bit more. When you are mixing it if you see any large chunks that didn’t smash up, just crush them with the mixing spoon -- or not. They cook up OK either way. The recipe calls for 1 cup of the evaporated milk. That works really well, but I never knew what to do with the remaining 1/2 cup. Answer: Just add it to the mix if you don’t have any other use for it. I like a bit more vanilla so I usually use 2 tablespoons plus whatever I spill while measuring. This makes a LOT, so you might want to halve the recipe if you have a small group or you can divide the full recipe into separate baking containers and make two or more smaller portions. In the deep dish we used today, 50 minutes is just a starting point and usually is about half the time needed. Depends on how deep your baking dish is and other things. If the squash is really dry/drained and you don’t use the extra milk, it might be done then, but usually it is not for me unless I divide it into a shallow dish or into smaller baking dishes for sharing. Just add more baking time in 20-minute intervals until it is no longer bubbling out the sides and then allow about 10-minutes more. A straw should come out clean from the middle. Sometimes it takes two hours if you are baking it in one deep dish. Not to worry it will just make the house smell wonderful while it is cooking! Also if it is a little moist it still tastes great just not as firm when you dish it out. Today’s dish took about two hours because of the extra milk and deep dish. If anyone has any questions - just send me an email - I will make sure it gets to the Gardener and HE will answer ALL emails personally. (my email address is found on the sidebar of the blog). This is truly one of our most beloved family recipes. When we have Thanksgiving dinner with our families - this is always our contribution to the dinner - it is expected - they would not let us walk in the door without it! From our house to yours~~ Happy Thanksgiving!